Printed Foamex Boards are a great way to get your message to last. We print direct on to Foamex with UV Stable ink that is totally weather proof and scratch resistant. We can print on 3mm, 5mm and 10mm and Printed Foamex Panels are great use again and again. Printed Foamex is ideal for internal use and had an outdoor life of up to 5 years. Foamex is a rigid PVC material with an ultra flat surface. This allows you to print direct to foamex and eliminate the need for foamex mounting. Foamex is a strong material that is ideal for long term indoor displays and short to medium term outdoor signs. 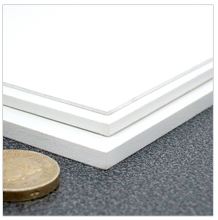 Foamex comes is 3mm, 5mm and 10mm widths. Direct Foamex Printing has seen an explosion in its popularity over the past few years. Foamex Boards are regularly used for Exhibition Stands, Foamex Signs and photographic boards. We can also produce double sided printed foamex which makes your display even more versatile.